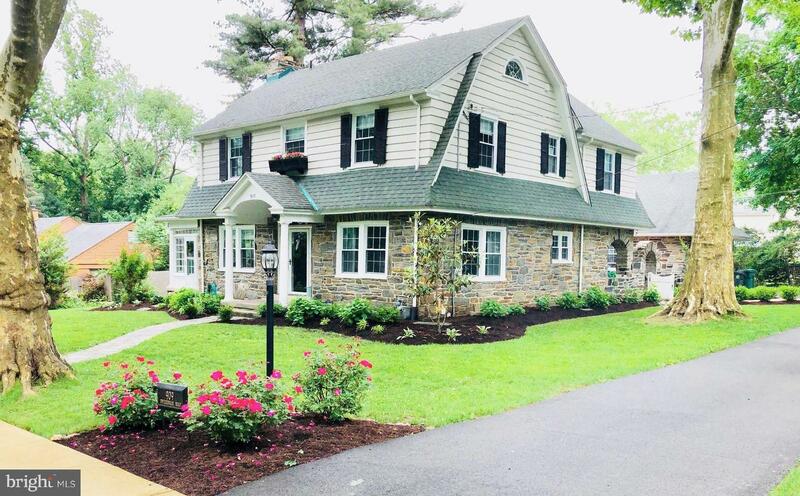 Beautifully updated stone colonial in highly sought after Bowling Green Neighborhood. This charming home has been updated from top to bottom and is truly turn-key. Sparkling white kitchen with white subway backsplash, granite counter-tops, stainless steel appliances and gorgeous hardwood floors. Open yet traditional floor plan and a beautiful 4 season sunroom, mudroom and powder room. 4 spacious bedrooms on the second floor with a master bath and hallway bath. Finished basement, stairs to the 3rd floor which could be finished for additional living space. Amazing outdoor space with beautiful hardscape patios and original stone work. Walking distance to the Media Borough, Award winning Wallingford-Swarthmore schools and easy commute to Philadelphia and Wilmington.